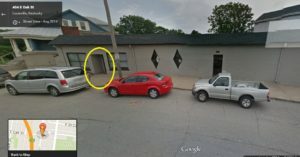 You can come to our physical location at 412 East Oak Street, Louisville KY, 40203. We are here Friday from 11.00-6.00 and Saturday from 9.00-12.30 for new or interested members. It doesn’t look like much from the outside, but the inside is full of goodness. Street parking is available. Or, WLBC can come to you! We have drop points and home delivery to many areas in and around Louisville. Contact us for more details if you are interested. Have other questions about WLBC or how membership works? Contact us using the form to the right, and someone will get back to you within a few days.